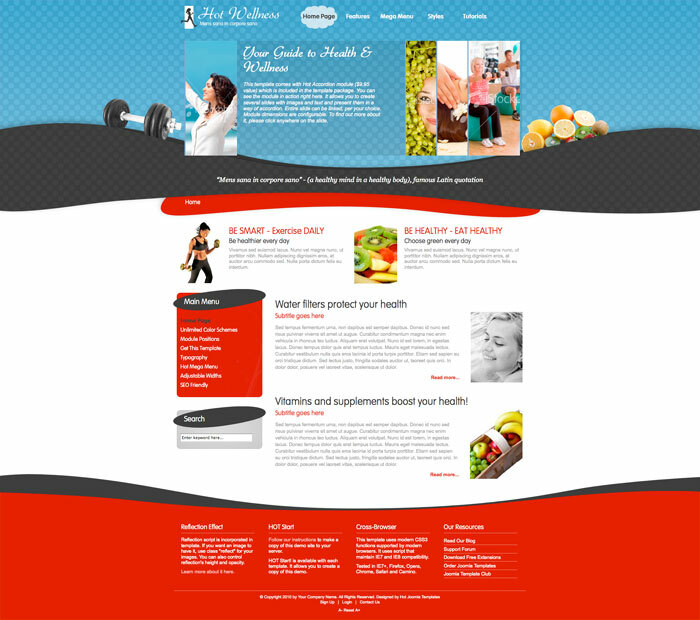 Wellness template targets the websites about healthy life, medicine and alternative medicine, healthy food, and lifestyle. 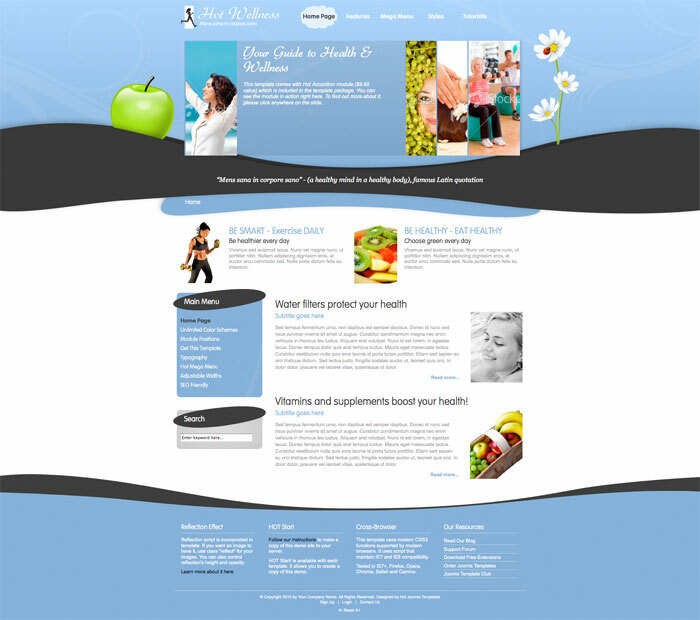 This template will be a great choice if you are about to create a website that promotes a wellness center, massage studio, spa center, medical care center, or portal about the healthy food and lifestyle. 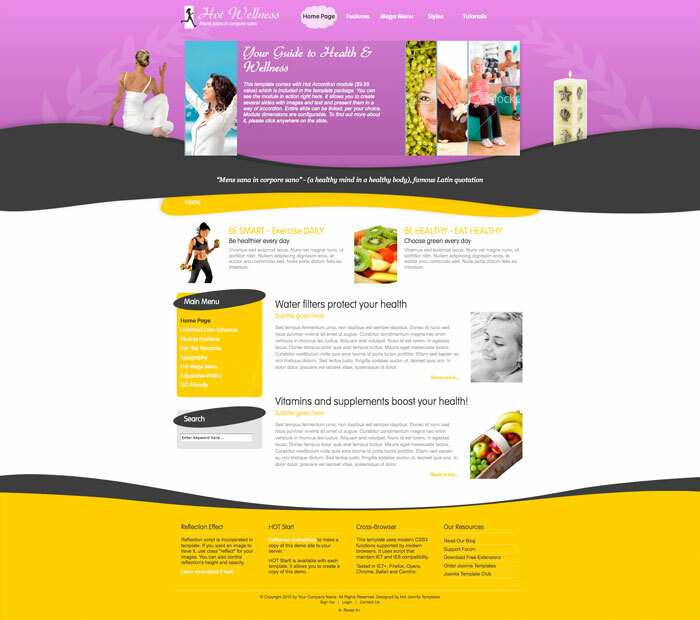 If you love curved design more than rigid horizontal and vertical straight lines and boxes, get the Wellness template! It's eye pleasant, and, as always, fully configurable. 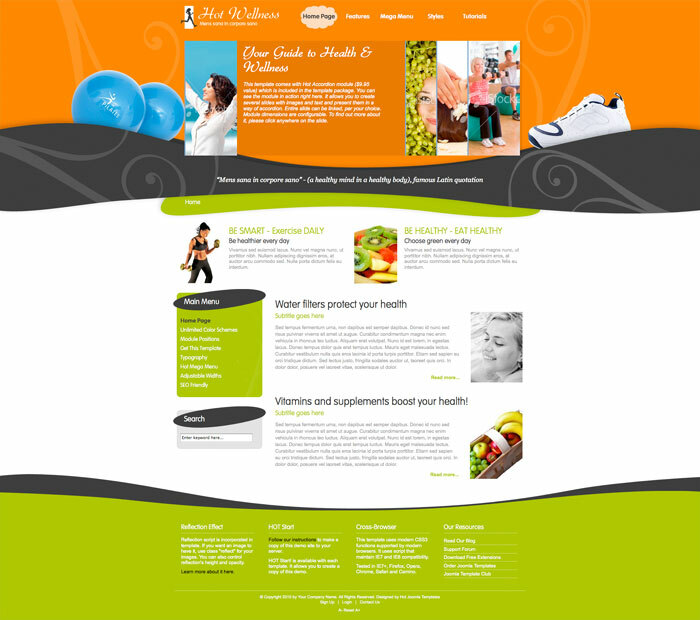 100% tableless CSS, XHTML Compliant code. 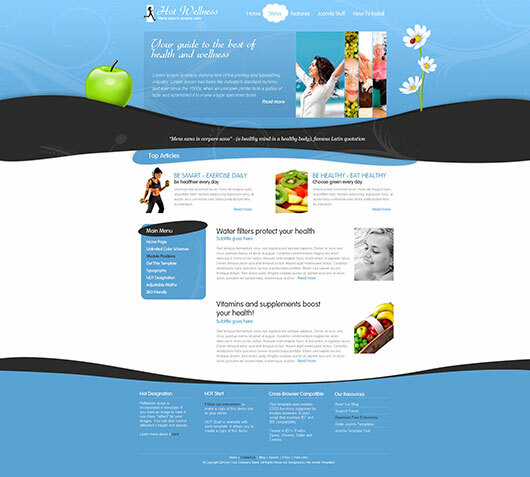 Flexible layout: Changeable width of left and right columns, as well as overall template width. Four pre-defined styles. Colors are easily customizable in parameters. Infinite color combination. Three different styles for left and right column modules. Hot Accordion module (value $15) included in the template package. Hot Joomla Carousel and Hot Joomla Gallery modules included in the template package. Custom fonts or Web safe font for headings (can be set in parameters). 28 fully collapsible module positions. CSS3 powered - dynamic rounded edges and dynamic gradients, compatible with all browsers. SEO friendly (puts headings into H1 and H2 tags). PSD source file is available. Font Resizer and Reflection scripts included. 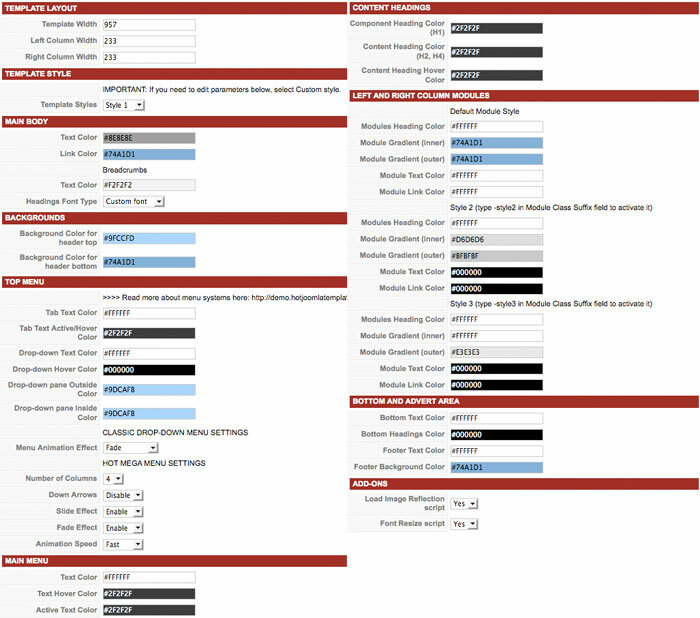 Tested with IE7+, Firefox, Chrome, Safari and Opera.